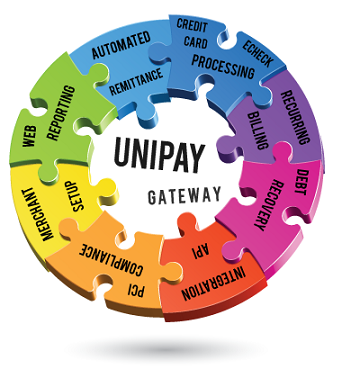 You are Here: UniPay Gateway > UniPay Gateway Payment Advice > Is it Time to Switch to a New Payment Gateway? Why should a business decide to switch payment gateway? Switching to a new payment gateway may be a costly and labor-intensive procedure, however, sometimes, it is the only choice. Both merchants and intermediaries (payment service providers, payment facilitators, aggregators, ISO) realize that if current payment gateway solution is unable to satisfy their business needs, it is time to look for a new one. Merchant services industry is developing rapidly, so even if your payment processing platform initially suited you, it can be unable to face the challenges of the modern market and fulfill the new requirements of your current business situation. So, what exactly can signify that the time to switch payment gateway has come? Some factors apply to merchants only, while others are relevant for all merchant services industry players. Particular factors may include high transaction processing fees, delayed funding, as well as inability of a payment platform to support multi-currency e-commerce transactions. Some payment gateway solutions lack necessary features, others use inconvenient reporting procedures. Maybe, with time you notice that the integration becomes too problematic to support, or the payment gateway has limited branding opportunities. Finally, if you are a payment facilitator, you need your gateway to have an API for smooth merchant onboarding. If you cannot negotiate better pricing with current payment gateway provider, or if your payment platform does not support all or some of the listed functions, then, perhaps, it is time your company should move on. More information on the indicators, signifying that it is time for switching payment gateway, is available in the respective article on Paylosophy. Why should a business decide to switch payment gateway? Discover indicators, signifying that time to switch payment gateway has come.